And, what to do if you’re already constipated. It’s not exactly dinner conversation but according to Statistics Canada over a quarter of the population reports suffering from chronic constipation. A great deal more suffer from it occasionally or simply don’t report it to their doctor. Of those who do seek medical help, over 85% leave the doctor’s office with a prescription. Constipation can affect you mentally, physically and can lead to further medical complications but how do you avoid it? Doctors recommend getting regular exercise, eating a diet rich in fibre and keeping your body well hydrated. Did you know that eating an Ambrosia apple every day is one way to add checks in two of those columns? Ambrosia are high in fibre (especially when you leave the skin on) and also contain water. A good daily strategy would be to grab an Ambrosia apple, a bottle of water and go for a 30 minute walk. This takes care of your minimum recommended exercise for the day, about 17% of your daily recommended fibre intake and contributes to a good hydration habit. Avoiding constipation is ideal but what should you do if you’re already constipated? Try apple cider vinegar. Taken 15 minutes before a meal, apple cider vinegar can help stimulate digestive enzymes. In addition, apple cider vinegar contains probiotics which help reset the balance of good bacteria in your stomach. In other words, one teaspoon of apple cider vinegar helps your body digest food better. A study reported in 2016 linked constipation to an increased risk for kidney disease. If you’re suffering from constipation, especially if it is chronic, you should see a doctor. 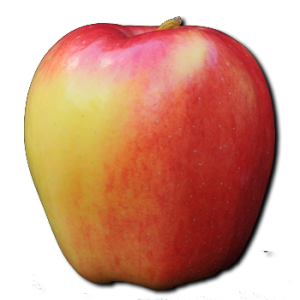 If you’re not suffering, and want to avoid this uncomfortable and potentially dangerous condition, add Ambrosia apples and exercise to your daily routine.